In web development projects when it comes to turn .psd, .ai, etc designs into HTML/CSS code, a common option will be to use PSD to HTML slicing companies. And a natural question raising here is: How to get the most out of them? Markup coding services are quite easy to deal with: you send or upload image files on a provider website, select conversion and layout options, pay through an online payment system (PayPal), and get a resulting markup coded. But in order to make the most of it and avoid unnecessary troubles it is better to follow some simple rules. If you have several files to convert, archive them and give that archive an understandable name, for example, "AnnSmith23June2009.zip" (i.e. "YourNameDate.zip" or "ProjectNameDate.zip"). It can be convenient for you as well, especially in case you need to check your previous orders. If there are files additional to your main .psd image (for example, custom fonts), don't forget to send or upload them too. Make sure you send or upload right files. PSD to HTML services are very fast, and by the moment you notice the problem with your files your markup may be ready. As a result, it could cost you some money to correct a mistake. Try to explain as accurate as possible what you want to get. Usually an order form on PSD-to-HTML websites has special subsections and items to help you with this task. Nevertheless, if your requirements cannot be described in this way or you don't have time to use it, don't hesitate to write down your requirements in a field named like "Notes" or use other communication channels convenient for you: live chat or email. If you are confused with something ("Is that option included? What is the delivery time?" etc), ASK! Sometimes even friends and relatives see things differently. So it is better to ask and to be sure that you and your provider get everything right and in the same manner. DOUBLE check your email address that you state in the order form of the PSD-to-HTML service. Make sure that your anti-spam filters and email servers are not too overzealous and allow the provider's emails reach you. It depends on the company but usually they send you an order confirmation (as well as your login and password to access a client zone on their website). If you don't receive such an email during several minutes, contact them through the order form or live chat -- the reason may be a misprint in your email address. Just in case give the provider's team an alternative communication channel (mobile telephone number, instant messenger ID (Skype, MSN, ICQ), etc). 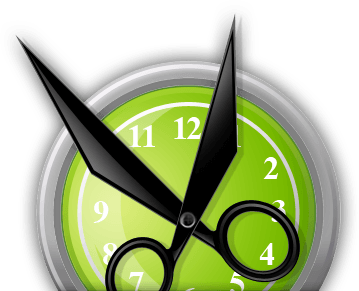 Specify the provider's time zone especially if time is crucial for you. If it is your first PSD-to-HTML/CSS project or you select a company for long-term cooperation, start from a relatively small pilot project to test the waters. Check the provider's Returns Policy. If it is important for you, don't hesitate to ask for NDA (non-disclosure agreement). Specify whether they offer after-sale support and what it means. 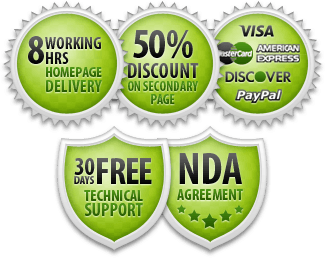 If the provider is confident of their work, usually the technical support is free. A small addition to .psd designs may lead to large modifications in HTML/CSS code. If the process of PSD-to-HTML conversion is in progress or finished and you change your design, be objective while estimating changes to be made in the markup. Small changes are usually free. If changes are large then it can be like an additional page in your order and should be paid accordingly (note: usually prices on secondary pages are up to 50% discounted). If you are not sure, talk to the provider -- together you will find a reasonable and mutually beneficial solution faster. Check the finished HTML/CSS markup how it corresponds to your design and conversion requirements. If you have some remarks, ask to fix them. Change access rights to your servers (passwords, logins) if you gave it to the provider's team. If you think the provider has deserved your testimonial, give it. You will support a qualified and diligent company in the market and help other users to get to know them. PSD-to-HTML services are just a tool to slice and convert designs into website markups, Wordpress themes or Drupal templates. The better you know how to work with them the more you get. 4. HTML5 - The End of PSD to HTML services?